Dr.Nirmal D Patil : I thank my mom and my friend for their constant support and encouragement. The secret to my success is discipline and hard work and gym. I had read doing intense weight training releases endorphins in your body; no wonder its the first line treatment for depression. Being happy always rather than being competitive (and therefore get sad if u score less) does lots of harm. Hippocampus converts short term memory to long term only if you are happy and if those things mean to you, so enjoy reading and read hard and don’t waste time. Dr.Nirmal D Patil : My parents provided me all the comforts in the world so that the only thing I had to do was look out for my goals. Friends were a constant source of inspiration and supported me during my bad times. You should be lucky to have such people around you. Dr.Nirmal D Patil : My Dad Dr. DHANANJAY S PATIL. I saw how my dad’s patients looked up to him and talk about him. I then realised that no one can have as much respect as a good doctor, so than I decided to choose medicine. Dr.Nirmal D Patil: Never did I doubt myself. That was the key to my success. I never doubted so I never got depressed by low marks n so I never wasted much time crying them. Continuous and focused effort n good helping friends make the difference. Dr.Nirmal D Patil: I read DAMS NOTES and SUBJECTWISE MCQ BOOKS and EXPLANATION. Dr.Nirmal D Patil: Arvind Arora for SARPOO and ENT and Paeds, Sparsh Gupta for pharmac, lipincott for biochem, across for anat, DAMS notes for micro, patho, physio. Amist ashish for med and surgery, Peepee for FMT, Vivek Jain for PSM, Bojani for OBG. Try to read DAMS notes in the lecture itself. Don’t make notes in separate books during lectures instead tear pages and stick them in your notes. Go home and solve and read subject wise MCQ. Dr.Nirmal D Patil : Apart from the teaching and notes I think that a coaching institute sets itself apart on interaction with students and the mentor like support. Sumer Sethi sir knows what the students want. Psychological support is very important for any student no matter how brilliant is. Sirs encouraging and kind words and quotes in DAMS club kept everyone same during the horrific time period of oct, nov, dec. I have observed no coaching class institute Director other than DAMS interacts with students. So that’s the added advantage for DAMS students. Dr.Nirmal D Patil : Like a plank on the edge is better supported with one hard hammered nail rather than many nail superficially hammered. Similarly you need to hammer the important topics in the exam. First study the examination system. Find out what they like. And make your own theory and timetable. Dr.Nirmal D Patil : Indian pg students have always been competitive. But it’s better if you keep the competition amongst others rather than your friends. You might be having 5 or 6 friends in your group don’t compete against them, outside you have to compete against 90000 people. So if u help each other and bring the best out of each other it won’t matter even if you are getting less than your friends coz ultimately you will have a better rank as compared to those 90000 people. You reap what u saw. If you hide things from your friends and try to pull them down so will they. Dr.Nirmal D Patil: one should always make a risk benefit ratio i.e time spent and marks earned ratio. So according to recent trends don’t focus much on sarp.try to limit med and surg time. These subjects are so vast no one can ever finish them instead just look for concepts in them. Explain as many times as you can to our friends. Remember the more links you form in your brain the more you remember. 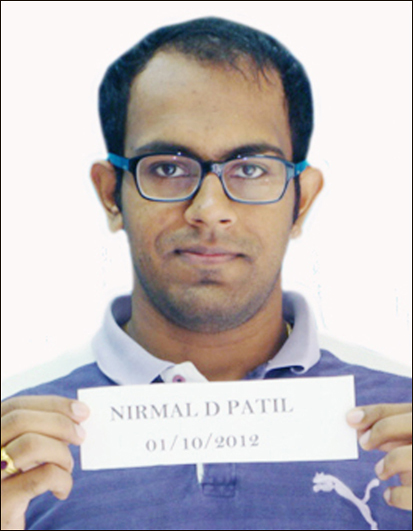 Dr.Nirmal D Patil : I didn’t study the day before my exam tried to relax my mind. Went out for a movie. During the exam day what matters most is whether you can hold your nerve and not panic. Many students study well and are almost as efficient in studies but what matters is keeping a cool head. I never could remember much of what I read but I had this theory when you read a question you already have 4 options n therefore have 25% probability to get the right answer. The answer is in the question. So I always tried to find the answer in the question.try to rule out the options rather than jumping to answer. Dr.Nirmal D Patil: I want kem orthopaedics that has been my dream for the last few years. Because kem is best for orthopaedics. Dr.Nirmal D Patil : I would like to thank Sumer Sethi sir. He is a role model to me. OBG mam for answering all the questions in DAMS Group Thank you for your support.